Promolux Safe Spectrum specialty lighting is designed specifically for illuminating fresh food and sensitive product displays and has been tested in food science laboratories and universities. 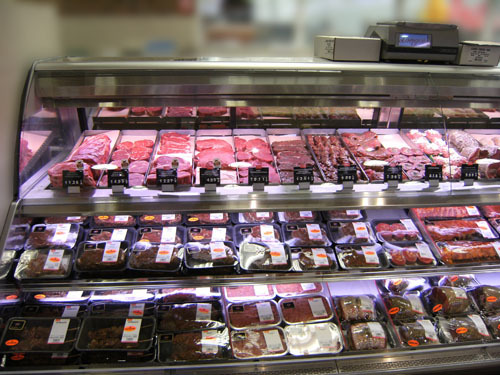 Installing low radiation Promolux lamps in retail display cases ensures that fresh food displays always look their best and are protected from the damage of exposure to high levels of UV and heat radiation. Tap into the power of store lighting and design with Promolux. Beautiful display cases and accent lighting are important elements to the successful commercial presentation of various foods and specialty products. But interior designers must also ensure that the display cases showcase the merchandise to its best advantage, and that the true natural colors are not distorted or washed out by excessive brightness or yellowish hues. There are many benefits of installing Promolux lamps, and people prefer the low glare illumination that reveals vibrant colors for outstanding visual merchandising displays. Promolux lamps are made with a specially designed phosphor coating which offers the highest quality color rendering available in any merchandising lamp. When tested with the Color Preference Index (CPI), Promolux lamps received the highest rating of any lamp on the market. CPI rates color according to what is most appealing to the human eye. Experienced retail store designers count on Promolux specialty lamps to bring out the full, natural range of colors in merchandise without distorting or artificially enhancing its appearance. 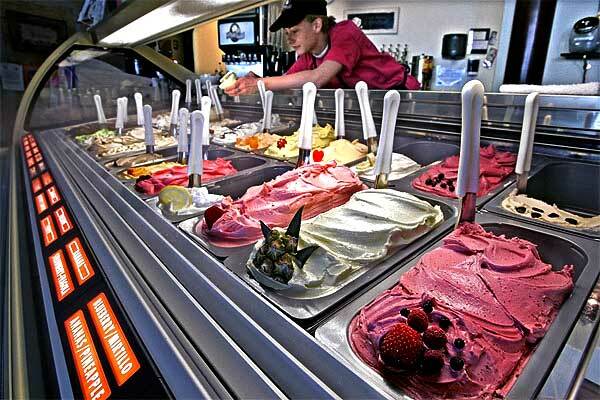 Commonplace lighting installations not specifically designed for sensitive products in the food display cases can actually harm the fresh products in the display by producing higher surface temperatures and initiating photochemical reactions that lead to discoloration and fading, premature spoilage and accelerated bacterial growth. Non-food products like flowers, leather, fabrics and clothing, cosmetics, and ceramics are equally at risk of fading and degradation when displayed under improper lighting. For this reason, designers need to consider more than just lumens and Kelvin temperature when specifying lamps for fresh foods and specialized products. Specific filters and rare earth phosphors integral to all Promolux lamps dramatically lower the ultraviolet, infrared, and harmful visible spectrum radiation. This technology translates into reduced shrinkage and extended shelf life of products, which means healthier profits and a more sustainable store design. Promolux is a pioneer in developing specialty low UV lamps to protect merchandise and perishable foods on display and constantly continues to improve the quality of its lamps and reduce the radiation of UV emissions from its lamps to minimum levels.